The Jewish Community of Louisville has added two new administrators to its staff. Angie Fleitz is senior director of development and Angie Rose is the vice president of communications. A Louisville native, Fleitz is a graduate of Centre College and the University of Louisville, where she studied business administration. She previously worked for Brown Forman Corporation, the Kentucky Derby Museum and, most recently, Solid Light, Inc., a design services firm, where she was executive director of business development. In her new position, she is responsible for the strategic planning, implementation, management and oversight of fundraising at The J. An Indiana native, Rose is a graduate of Grand Canyon University in Arizona and Indiana University School of Social Services. An experienced healthcare industry administrator, Rose previously worked at Washington County Memorial Hospital, Jewish Hospital & St. Mary’s Healthcare, Baptist Health Floyd and Humana. At JCL, she oversees all aspects of marketing and promotion as well as production of Community. 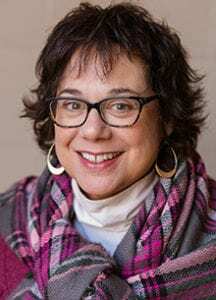 Jeanne Freibert has been hired as executive director of the NCJW Louisville. She started on Jan. 6. 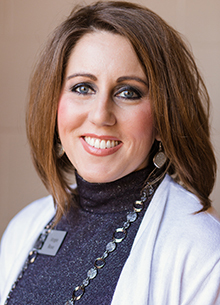 A graduate of Murray State University and Cameron University in Oklahoma, Freibert spent 15 years as a special education and art teacher in Oklahoma, Maryland, Georgia and Kentucky before moving into new sectors. From 2016-18, she worked as interimdirector and program director for Dress for Success, a worldwide organization providing professional attire and work readiness skills to women starting new careers. She also served on the board, executive committee and is still on the advisory council. For the past year, she has been at JMF LLC, a nonprofit consultant firm. Freibert said NCJW wants to build upon its solid foundation by recruiting new members. 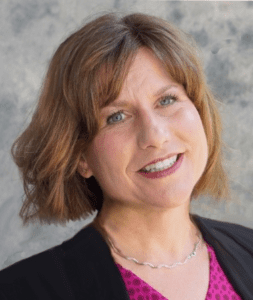 “People of any gender or faith seeking ways to make positive impacts in our community are encouraged to join NCJW or volunteer at Nearly New Shop,” Freibert said. The Dermatology Foundation has honored Dr. Jeffrey P. Callen with its Lifetime Career Educator’s Award. Callen received the award at the American Academy of Dermatology’s annual meeting on March 2 in Washington D.C. His wife, children and grandchildren were present. 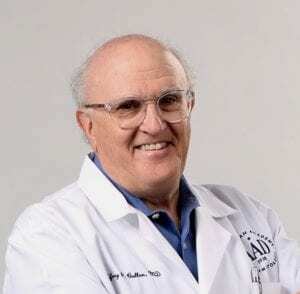 Callen has been chief of the Division of Dermatology at the University of Louisville since 1988, teaching and mentoring hundreds of medical trainees and practicing physicians. In recent years, he has received two other national awards: Master of Rheumatology in 2016 (his area of practice includes auto-immune diseases that affect the skin), and he was named Master of Dermatology in 2017. The Louisville Jewish Film Festival reported a slight increase in attendance during the just-completed 21st annual festival. She added that she was “pleased” by how many non-Jews saw this year’s lineup of movies, documentaries and short-subject pictures. Interfaith Paths to Peace (IPP) presented Mitzi Friedlander with its Lifetime Service to Peace Award during its annual Recipe for Peace dinner on March 7 at the Olmstead. IPP also recognized Rev. Joe Phelps with the Lee B. Thomas Jr. 2019 Peacemaker of the Year Award. A lifelong supporter of interfaith dialogue and peacemaking, Friedlander and her late husband, Bill, were founding members of IPP. She has been a vocal advocate for social justice, participating in Open Housing marches and the 1964 March on Frankfort. A retired Baptist minister, Phelps was a force in the faith-in-action movement during his time at Highlands Baptist Church. He has also been an advocate for corrections inmates and racial reconciliation. John Gage of The Kentucky Homefront and Linkin’ Bridge, an a capella group and finalist on American’s Got Talent, provided the evening’s entertainment. Rabbis Bob Slosberg of Adath Jeshurun and Beth Jacowitz Chottiner of Temple Shalom took part in the program. Several Jewish leaders were in attendance, including members of the Jewish Community Relations Council. Interfaith Paths to Peace is a grassroots community peace organization, established in 1996.